Home What Is & How To What Is & How To Be A Judge? 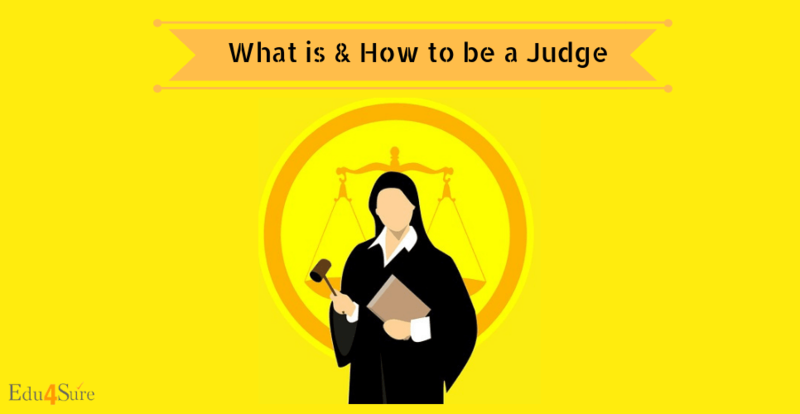 What Is & How To Be A Judge? Ye Kaala Coat Kanoon Hai. Ye wakil Kanoon keRakhwalehai. All sort of lines is associated with Judge, Advocates. The role of a judge is prominent in Hindi Movies. You all must have seen the movie Jolly LLB. It’s all about Judge and the courtroom. Everyone loves the uniform of a Judge. Black and White. But do you love Justice? Do you think Justice must prevail in every situation? Can you stand up and fight for injustice? Do you have the eye for the truth? Before pursuing a career as a judge. Think about these questions. The love for the uniform is not the only factor that makes you a judge.Furthermore being a judge makes you consider several other factors that are more important. So spent some time here and know about how a career as a Judge Is. It will help you make a decision whether you can become a Judge or Not. Law is a system of rules which a country recognizes as a means of regulating the actions of its members. Law is a profession undertaken so that people follow rules and regulations and abstain from criminal activities. A public officer appointed to decide the cases. The final decision rests with the judge. Therefore if he says Yes it is a yes If he says No it is a no. According to the Cambridge dictionary: A judge is a person in charge of a trial in a court. He/She decides the punishment of the convict. I think everyone is clear with the basic terms associated with the law. Therefore, we now move forward on the process how can we become a Judge. Lawyer, Advocate is a post that is allotted to a person who has study law. So first study Law, then become a Lawyer. You give an entrance exam to get into law course. Besides, the entrance exam for law varies from university to university. IPU conducts an exam called CET for law aspirants, 17 National Universities accept CLAT score, Some universities accept LSAT score. Therefore, the choice of examination rests on the university you wish to study. Read more about this. Once you clear the exam on the basis of rank secured, you get admission into a law college. An integrated undergraduate degree like B.A. LLB is a 5-year course and Bachelor of Law (LLB) is a 3-year course. During the course, you study theoretical subjects. But are also given training in projects like Moot Court Session, debates, etc. You are also required to undertake training under an advocate or anyone in Law. How to become an Advocate or a Lawyer. Take admission into a Law course by clearing the entrance exam like CLAT ( Common Law Admission Test) and various test conducted by different universities mentioned above. 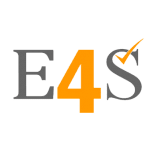 Undergo the 3-year or 5-year study as chosen by you at the college and plus all the projects, exams as per the curriculum. The last step is to enroll yourself with State Bar Council regulated by the Advocate Act of 1961. After the process of registration with the State Bar Council, You need to clear the exam All India Bar Examination (AIBE). After clearance, you get a certificate for practice. You only become an Advocate if you clear the AIBE exam otherwise after completing LLB you are qualified as a lawyer only. Judge is the top rank and the respected one in the judicial services. Moreover Judges are impartial- decision makers and they rule according to the law. The terms ‘ Judge’ and Magistrate are often used interchangeably. But these are different. A judge has more powers than a Magistrate. A judge presides over court proceedings. It holds more administrative powers. On the other hand, Magistrate is the officer of the state and handles smaller and minor cases. You need to pursue the study of law for 5-years under a law institution/ college. You also need to undergo the internship training and obtain a certificate of practice from the State Bar Council (SBC). In addition to this, you must also do the following. Also to become a Judge, you need to qualify the Judicial Service Examination conducted annually by Public Service Commission of respective states. You can appear for this exam only if you have a legal degree and you have enrolled yourself as an advocate with SBC. The Judicial Service Examination is held in two parts. Judicial Service Preliminary Examination and Judicial Service Main Examination.Moreover there is a VIVA. You need to get a minimum of 50% aggregate to be declared as cleared. For details, visit PSC website of respective states. The judges are appointed by the three-tier judicial system. The Supreme Court, The High Court, and the Subordinate Court. The apex institution of the judicial forum and final court of appeal under the constitution of India. Furthermore, the Supreme Court Of India has Chief Justice Of India and 30 Judges appointed by President Of India. Also you must be a distinguished Jurist in the eye of the president. The judge holds office till the age of 65. The Judges of High Court are selected by the President of India in consultation with Chief Justice of India, Governor Of State and Chief Justice Of High Court. They hold office until the age of 62 years. The salaries of Judges keep revising from time to time. Moreover the Judges of Supreme Court and High court receives the highest salary. This is how you become a judge. Previous articleWhat Is & How To Be a Disc Jockey? Next articleWhat Is & How To Be A Dentist?